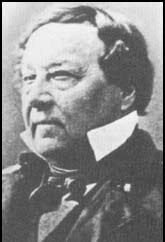 Benjamin Louis Eulalie de Bonneville was a French-born officer in the United States Army, fur trapper, and explorer in the American West. He is noted for his expeditions to the Oregon Country and the Great Basin, and in particular for blazing portions of the Oregon Trail. During his lifetime, Bonneville was made famous by an account of his explorations in the West written by Washington Irving.